≈ Comments Off on YOU WILL LOVE THIS! This fall, Gemterra Development Corporation will introduce LOVE CONDOS in Scarborough – one of the BEST buys in the GTA today. 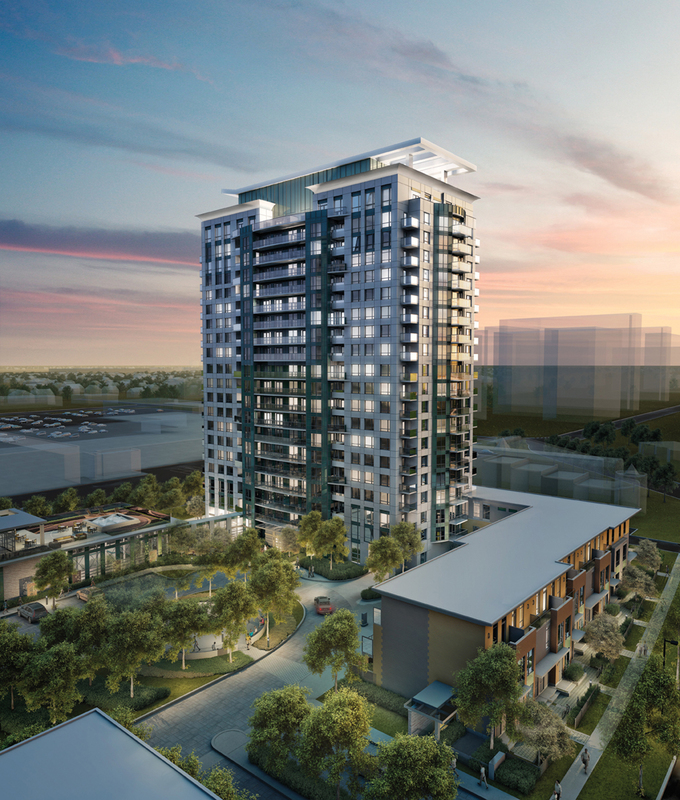 First-time buyers, take note: suites here will begin from just $189,900! Considering this condominium’s location close to the Tam O’Shanter Golf Course, Agincourt Mall, Pacific Mall and many other shops and restaurants, the value is phenomenal. Highways 401 and 404 are minutes away, residents will be able to catch busses at Kennedy and Sheppard, and the Agincourt GO station is only a few blocks from the site. Soon, the Scarborough LRT will open a new station adjacent to LOVE, which adds even more convenience and desirability to this address. The first phase will consist of a 287-suite, 20-storey Turner Fleischer Architects-designed tower and 21 condominium townhomes. Interiors by Tanner Hill Associates include a beautifully appointed lobby featuring 24/7 concierge service. The central amenity area will encompass an indoor pool, hot tub, fitness club overlooking a grassed Tai Chie area, sports lounge, party room and two guest suites. Residents here will also have wonderful outdoor spaces for relaxing and entertaining, including barbecue facilities beside the pool area. Isn’t that amazing? Among the gorgeous suite features and finishes are lovely laminate flooring and rich granite kitchen countertops with a ceramic backsplash. Imagine all of this at incredible prices! Buyers will also have peace of mind, knowing that Gemterra is a family owned and operated firm with over 30 years of international experience in creating both residential and commercial buildings. The LOVE Presentation Centre and fabulous model suite will open soon. But don’t wait – we know these suites and townhomes will sell quickly. Register NOW at lovecondominiums.com, or call 416-491-LOVE (5683).